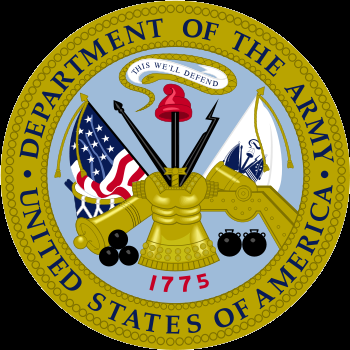 Intensively manage Army wide TWV requirements for all proponents in accordance with AR 71-32, Force Development and Documentation – Consolidated Policies and TR 10-5-5, United States Army Combined Arms Support Center and Sustainment Center of excellence. Provide guidance to documentation integrators and proponents on tactical wheeled vehicle documentation in TOE. Review section I, for doctrine, policy, and mobility compliance. Perform area of interest review of section II to ensure tactical wheeled vehicle requirements are adequately stated and justified. Review tactical wheeled vehicle requirements for compliance with mission and mobility requirements. Validate the types and quantities of tactical wheeled vehicle listed in TOE. Provide tactical wheeled vehicle data, usage, and justification guidance to TDA activities desiring to initiate or change tactical wheeled vehicle requirements. Review tactical wheeled vehicle on TDA memorandum change requests. Validate tactical wheeled vehicle types and quantities on memorandum change requests to TDA. Equipment Review and Validation Board (ERVB) Member. Provide tactical wheeled vehicle guidance to BOIP developers. Review the Basis of Issue Plan Narrative Guidance and BOIPFD for tactical wheeled vehicle characteristics and capabilities descriptions. Review the detail records section of the BOIP for tactical wheeled vehicle requirements. Evaluate the accuracy of stated tactical wheeled vehicle requirements in BOIP detail records. Validate the BOIP and quantities of tactical wheeled vehicle requirements stated in BOIP. Organizational Requirements Document Approval Briefing (ORDAB) board member. Serve as active participant and voting member dealing directly with the resolution of tactical wheeled vehicle issues. Conduct tactical wheeled vehicle requirements analysis to support tactical wheeled vehicle modernization, force structure, procurement, and tactical wheeled vehicle distribution decisions. Provide advice and assistance to other members of the FDU relative to the resolution of tactical wheeled vehicle issues. Provide guidance to ACOMs, USAFMSA, document integrators, and unit commanders in tactical wheeled vehicle requirements changes in MTOE. Review and validate the recommended changes to MTOE for correct tactical wheeled vehicle and adequate justification. Conduct independent tactical wheeled vehicle requirements analysis to support tactical wheeled vehicle modernization, force structure, procurement, and distribution decisions. Assess combat and materiel developer initiatives in all mission areas for qualitative and quantitative tactical wheeled vehicle fleet impacts. Defend tactical wheeled vehicle requirements to DA, Office of the Secretary of Defense, and Congress. Develop and maintain an information base for rapid response to Armywide queries on tactical wheeled vehicle requirements.